I remember when I was in Thailand that we visited one of the local schools. 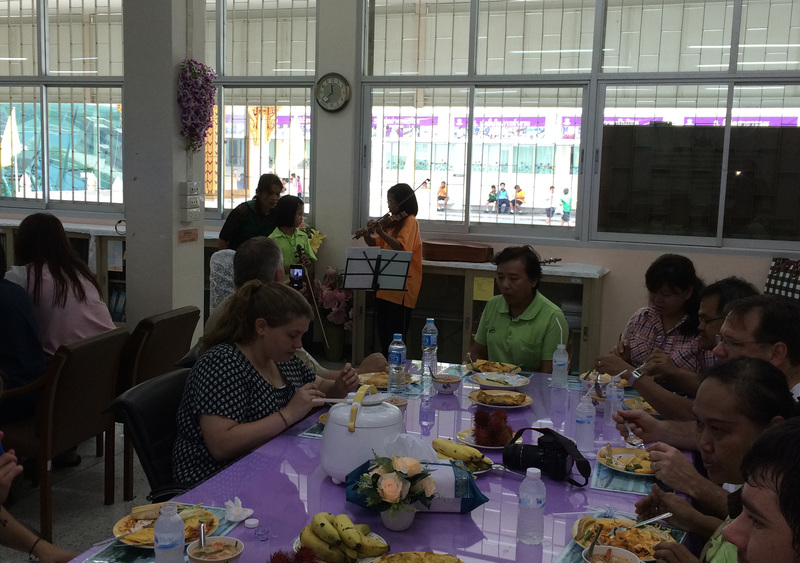 The school treated us very well and while we were having lunch, they had two of the school girls come in and play violin for us while we ate.They played beautifully and we really appreciated their talent and effort. However, that’s not where most of my attention was. Off to the side was a woman in her mid-thirties. At first, I thought she might be their music teacher since she came in with them and was helping the kids. However, after a very short amount of time, I came to the conclusion that the girls must be sisters and this must be their mother. There was just something in the way she looked at them. The amount of love, care, and pride in her daughters was just busting through. I found it beautiful how she was leaning forward the entire time they played and was the first and loudest to clap for and encourage them (even when they made minor mistakes). This is how God looks at you today if you have accepted Jesus as Leader and Forgiver in your life. If you have not, He is reaching out to you in a desire to bring you to Him.